Great utility to keep track of notes or ideas with easy access regardless of what application you're in. Set alarms. You can set notes to appear at specific times to remind you of important events. You can even set the notes to appear periodically. Customize your notes. Change the color of your notes, font, paragraph settings. 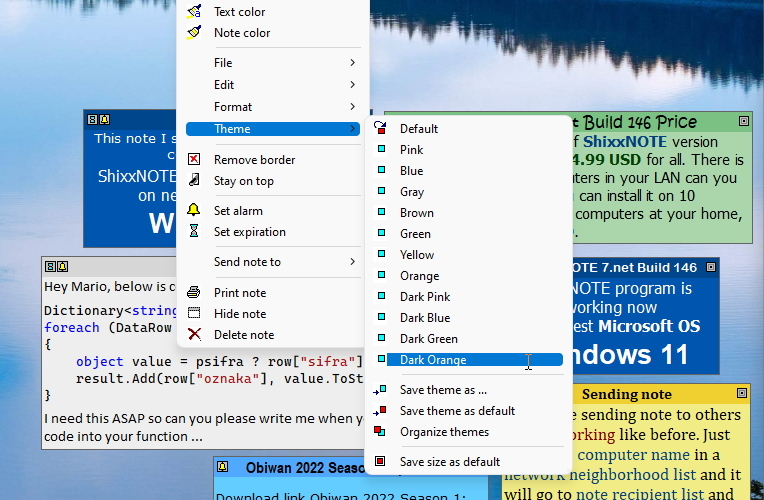 You can save note themes (color and fonts) and organize it as you like. 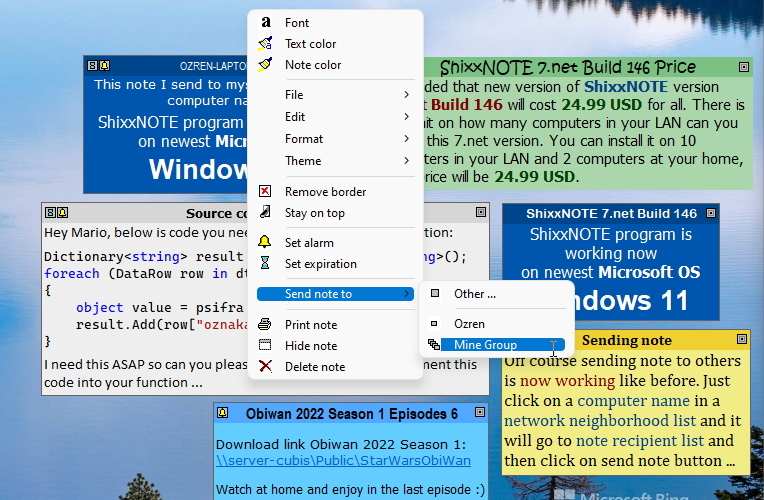 Automatic saving whenever you change to a different application or exit Windows. 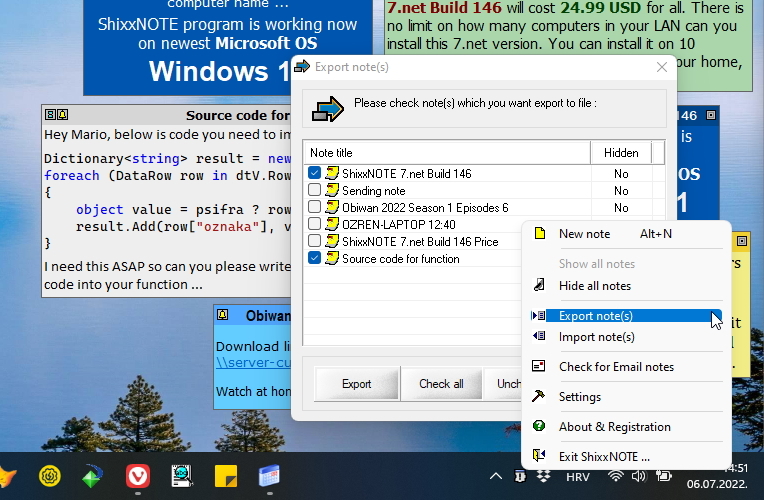 Easily export or import note(s) to file. 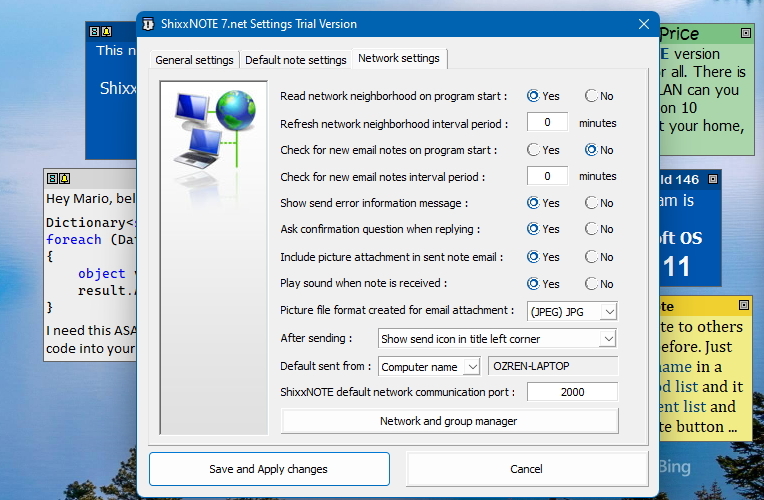 Network Neighborhood list is shown in Send To dialog. 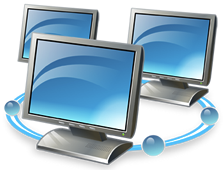 Just select computer(s) on list and send note to them with one click. Save group of recipients to Group Name which will be inserted in Send To note menu items. 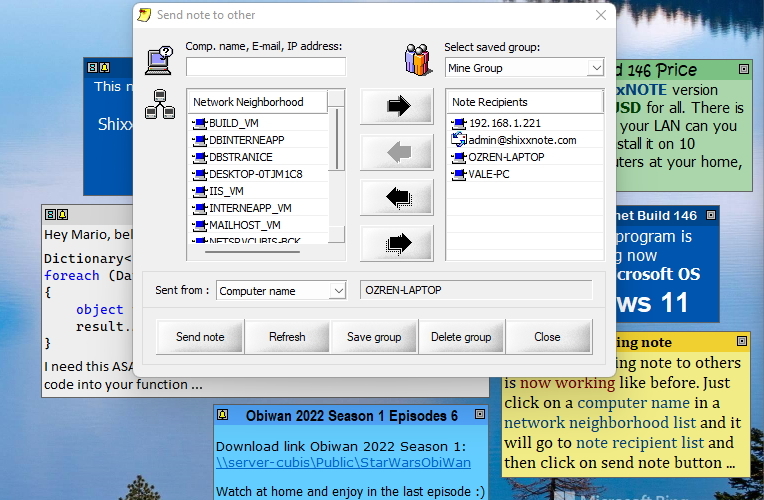 So one click and note is sent to all recipients in group. E-mail notes to people using a MAPI compatible mail client like Outlook Express. Note picture will be also send as attachment. 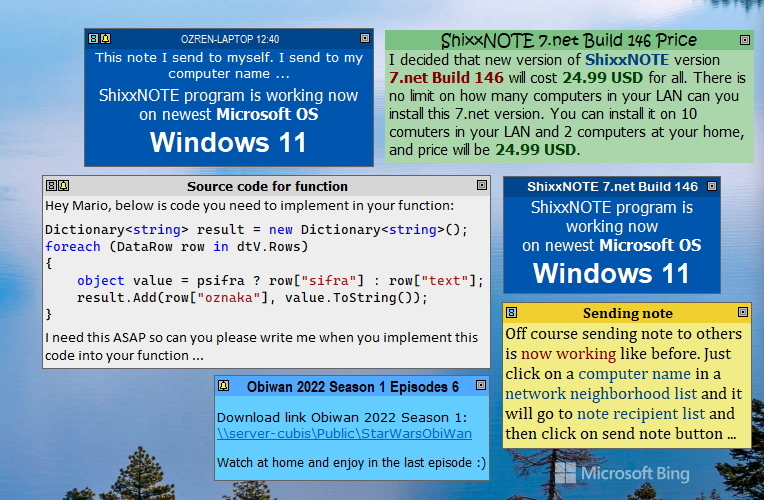 And if recipient have ShixxNOTE 6.net installed on PC, program will read e-mail data and will show exactly same note on his desktop in a second. Perfect tool for instant communication for a office or even a home LAN. It keeps you organized and up-to-date with incredible number of features to boost your productivity. Program is configurable and stable. When you're spread over a couple of floors, it's great to have something that you know your workmate is going to see appear on their desktop. Means you're more likely to get action than it sitting in amongst a bunch of internal emails. You can send everyone on the network a note first thing in the morning to remind them of the day's specials offers. We also like the ability to send notes to other computers over our LAN. This generally works better than e-mail for phone messages in our office. The best communicating software within an organization, working like a mail server. This is the most practical, useful desktop utility I've installed. It should be installed as a standard !